Air quality models are used to simulate the physical and chemical processes that affect air pollutants as they are released to the atmosphere. The models are performed with computer programs that solve certain mathematical equations and algorithms. Air quality modeling is needed by agencies controlling air pollution, to identify the contribution of the sources to air quality problems, and to assist in designing techniques that will reduce the effects of harmful pollutants. 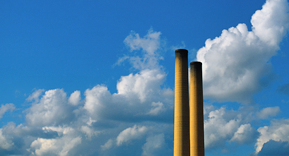 The U.S. Environmental Protection Agency (EPA) maintains a Guideline on Air Quality Models. These Guidelines provides the agency's guidance on regulatory applicability of air quality models. Sanders Engineerings air quality models meet all the criteria of the EPA and state agencies. Glycol dehydration units are used to remove water vapor from natural gas. This dehydration helps prevent corrosion and formation of hydrates in pipelines. Hydrate formation can be a severe problem when water is present in natural gas. As the pressure and temperature vary in the gas pipeline, water can combine with the natural gas molecules (e.g. 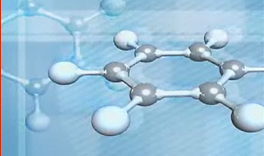 , methane, ethane, propane) to form solid hydrates that can block or plug a pipeline. During dehydration, glycol picks up water as well as other compounds from the natural gas. These other compounds are eventually emitted through waste streams of the dehydration unit. The most significant issue is the air emissions that occur when the water is distilled from the glycol in a regenerator. Increasing regulatory pressure has made emissions of benzene, toluene, ethylbenzene, and the xylene isomers (collectively known as BTEX), and volatile organic compounds (VOCs) from the regenerator vent of glycol dehydration units a major concern of the natural gas industry. At Sanders Engineering, we use a PC-based program for estimating air emissions from glycol units using triethylene glycol (TEG), diethylene glycol (DEG) or ethylene glycol (EG). This software focuses on estimating air emissions and demonstrating compliance with Oil and Natural Gas (ONG) and Transmission and Storage (T&S) MACT standards. Our field team collects most of the required input information from the plant site. The only other input information needed is the natural gas composition. The gas is sampled and analyzed for hydrocarbons (C1-C8+ including aromatics) and non-hydrocarbons (CO2, N2, and H2S). Conducted a preconstruction base line study in accordance with PSD quality control requirements for five pollutants (sulfur dioxide, ozone, carbon monoxide, nitrogen dioxide, nitrogen oxide) and meteorological parameters (wind speed, wind direction sigma theta, wet/dry deposition, relative humidity, temperature, and rainfall). Mobil Exploration & Production. Inc.
PSD permit for four offshore production operations connected by pipeline to dual gas refineries. BACT analysis for sulfur recovery plant. Complexities include BACT more stringent than New Source Performance Standards, possible impact on Class I Wildlife Refuge, impact across multiple state boundaries. PSD analysis for new 100,000 BBL/Day refinery addition. Using “PSD Bubble” to allow the burning of high sulfur fuel oil in some units while burning clean refinery gas in others. Conducted emissions offset for construction in an ozone non-attainment area. PSD analysis for fuel conversion of large natural gas fired unit located in downtown major metropolitan area to coal. Complexities of project included effects of building downwash on plume rise, air quality at air conditioning intake, downwash side of building, air quality of patios of high rise apartment complexes and office buildings. Effects of elevated terrain taller than stack height and plume rise. Designed, constructed, and operate an ambient monitoring network for the measurement of heavy metals and particulate concentrations surrounding a hazardous waste burning facility. Conducted emergency response monitoring for well blowout containing toxic concentrations of hydrogen sulfide. Monitoring network consisted of six permanent stations and three mobile stations monitoring continuously in the three mile evacuated area. Pollutants monitored were hydrogen sulfide and sulfur dioxide.